Gargoyles are said to frighten off and protect those that it guards, such as a church, from any evil or harmful spirits. Cf. Chinese roof sculptures. A type of scupper with an ornamental design. Grotesque is a sculpture that does not work as a waterspout and serves only an ornamental or artistic function. Corbels are structural piece of stone, wood or metal jutting from a wall to carry a superincumbent weight, a type of bracket. Carvings at the end of hammer beams are the indoor equivalent of outdoor protective gargoyles. Gargoyles History dates back to antiquity. Gargoyles can be found in Ancient Egyptian, Ancient Roman and Ancient Greek architecture although they are most commonly associated with Medieval Gothic architecture. Ancient history, myths, legends and pagan religions abound with stories of frightening and fantastic creatures. Creatures that fired the imagination. Creatures you would only ever meet in your worst nightmares. Perhaps the Medieval church wanted to convey a terrifying impression of hell and enforce that there was safety and sanctity inside the church. The devil would be a most inappropriate, and totally unorthodox, image to allow on a church - fantastic gargoyles, would, however have a similar, terrifying psychological effect. Stone masons had free choice of their gargoyles should depict or look like. It is an interesting fact that there is no two gargoyles which are exactly the same! The materials used for the earliest Gargoyles were made of wood or even terracotta but early Medieval Gothic gargoyles were made of stone. Later gargoyles, especially in churches, were predominantly limestone and marble, although metals such as lead were also used in fashioning some gargoyles. Stone gargoyles were carved on the ground and then put into place when the building was almost at the point of completion. What is the purpose of Gargoyles? The first is a practical purpose - gargoyles provided a method of drainage which protected the stones and the mortar of churches, cathedrals and castles from erosion. The number of Gargoyles added to buildings were numerous because dividing the flow of water minimized potential water damage. The second purpose of gargoyles was as 'guardians' of the buildings in the form of abstract symbols designed to represent, and to ward off evil. The term gargoyle is most often applied to medieval work, but throughout all ages some means of water diversion, when not conveyed in gutters, was adopted. In Ancient Egyptian architecture, gargoyles showed little variation, typically in the form of a lion's head. 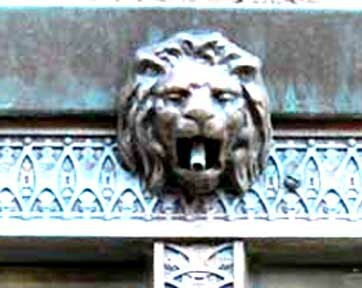 Similar lion-mouthed water spouts were also seen on Greek temples, carved or modeled in the marble or terracotta cymatium of the cornice. An excellent example of this are the 39 remaining lion-headed water spouts on the Temple of Zeus. There were originally 102 gargoyles or spouts, but due to the heavy weight (they were crafted from marble), many have snapped off and had to be replaced. Many medieval cathedrals included gargoyles and chimeras. The most famous examples are those of Notre Dame de Paris. Although most have grotesque features, the term gargoyle has come to include all types of images. Some gargoyles were depicted as monks, or combinations of real animals and people, many of which were humorous. Unusual animal mixtures, or chimeras, did not act as rain spouts and are more properly called grotesques. They serve more as ornamentation, but are now synonymous with gargoyles. Lions were the most common non-native animal crafted as a gargoyle in the medieval period. In ancient times, the lion was linked to the sun, most likely due to its golden mane bearing similarity to the solar wreath of the sun. Lion gargoyles were popular with the ancient Greeks and were frequently used on houses in Pompeii during Roman times. During the medieval period lions became the symbol of pride, one of the 7 deadly sins. [Other animals]: Dog, Wolf, Eagle, Snake, Goat, Monkey. Both ornamented and unornamented water spouts projecting from roofs at parapet level were a common device used to shed rainwater from buildings until the early eighteenth century. 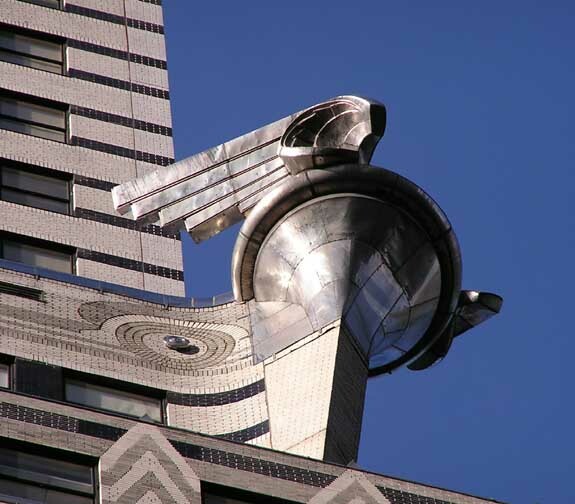 From that time, more and more buildings employed downpipes to carry the water from the guttering at roof level to the ground and only very few buildings using gargoyles were constructed. In 1724, the London Building Act passed by the Parliament of Great Britain made the use of downpipes compulsory on all new construction.